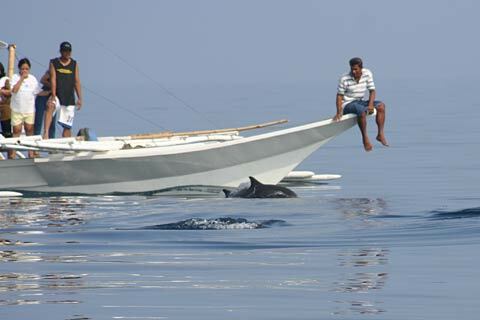 A dolphin near the front of a banka. They love to swim along with bankas. Based on the rating of 165 users.